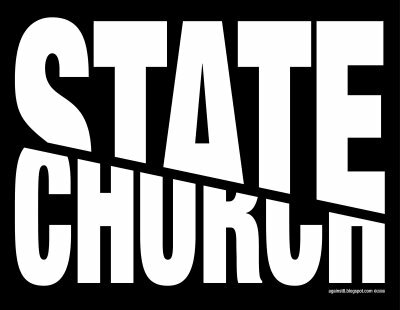 As the state continues its quest to create dependency and expand its political influence they continue to resort to fraternizing with religious organisations and leaders. Although this is done and promoted as an altruistic gesture, this activity should be exposed for what it is -veiled attempts to purchase political influence from religious groups and pacify dissent and opposition. These disbursements are in effect; a form of disguised bribery using tax dollars. Additionally, even though these government hand outs are tempting, religious leaders should be weary of accepting as they immediately become compromised in their ability to challenge, chastise and castigate the state when they inevitably engage in immoral behaviour. Government has expressed a desire to amend the Bail Act to deny bail to persons charged with sexual offences involving a child or young persons for 120 days. A hotline along with public service announcements were also forthcoming advising persons to "report all suspected child abuse incidents" so as to "Help save a child's life today." The knee jerk reaction by the government to the tragic incident involving the sexual assault and murder of a young girl is very disturbing. Not only was it done without a proper analysis of the circumstances but the proposed policies would have done nothing to spare the young girl from this tragedy. 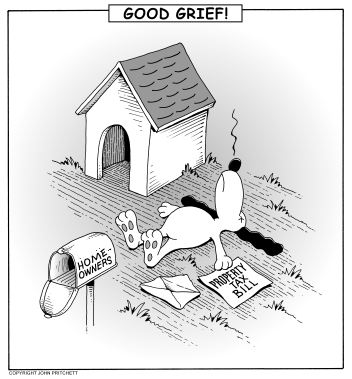 Individual crises abound on a daily basis and without fail the cry will undoubtedly be: "the government should do something". Unfortunately, the population has been conditioned to believe that the institution that is government is primarily responsible for protecting them from life's challenges many of which are brought about by moral deficiencies in personal conduct. Even when unexpected crises inevitably do occur rather than relying on faith, family and community, reliance is placed on the small "g" that is government. Not only is this dependency misplaced it spawns societal apathy since it becomes universally accepted that government should respond rather than individuals. Even still; state responses are slow, clumsy, inefficient, expensive, inappropriate and normally only done to manufacture a photo opportunity. By now many Trinbagonians would have been approached by an Organo Gold representative or heard of this coffee distribution programme that offers exorbitant returns with little or no risk to participants.The programme is predicated on participants becoming distributors of Organo Gold Coffee products; but more importantly participation in the programme emphasizes the recruitment of other distributors so as to expand your commission potential. Sadly the Organo Gold programme being offered in Trinidad & Tobago displays all the classic hallmarks of a pyramid scheme. 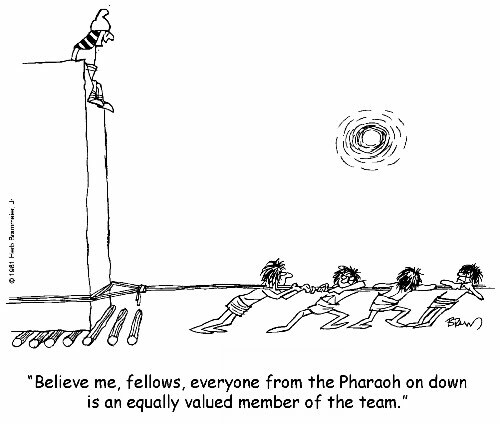 A pyramid scheme is an unsustainable business model that involves promising participants payment or services, primarily for enrolling other people into the scheme, rather than supplying any real investment or sale of products or services to the public. Politicians in general are perpetually desperate throughout the life of their various careers especially outside of politics. Consequently they aggressively pursue tertiary level degrees and designations at all cost even if it requires falsifying credentials or circumventing course requirements. With few exceptions politicians pursue this course of action as they deem it absolutely necessary to scaffold their usual lacklustre professional careers outside of politics which they intuitively assesses to be deficient. These deficiencies are usually the reasons they resorted to politics in the first place as they tend to be unable to thrive in the free market. The degrees are therefore used as a professional crutch to obscure shortcomings. Another snake oil salesman has arrived peddling a quick fix to T&T's crime problem. First of all, it should be noted that among other reasons, the decline in crime rates in US cities during the tenure of the salesman was universal throughout all cities in the US that occurred as a delayed result of the Roe vs Wade decision in 1973 that reaffirmed a woman's right to abortion as a private decision. The decision ostensibly reduced the quantum of unwanted children being born who traditionally had a higher propensity to engage criminal activity in their adult years. The fact that it is becoming increasingly difficult to get $US is an obvious sign that there is a shortage of available $US. This is a clear market signal that the price for $US in $TT (the exchange rate) is too low and that there is depreciating pressure on the $TT. 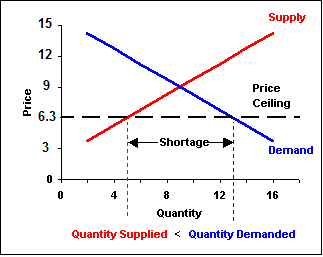 A disparity therefore exists between the $US quantity demanded and the quantity supplied, consequently a shortage occurs. The current price ceiling stipulated by the Central Bank is the reason for the shortage. Despite all the fanfare surrounding the recently held local government elections the Elections and Boundaries Commission (EBC) reported that there was only a 26% voter turnout. Although unable to vouch for the veracity of the statistic since I remain doubtful that the EBC is thoroughly and painstakingly updating and verifying the total voters list, I for one was heartened by what most described as the unfortunate low turnout levels. Party Financiers & Hierarchy Don't Have Noble Intentions of “Serving” The Public - Only Themselves. According to recent reports, the minimum cost of political campaign public meeting was approximately $400,000. Other auxiliary costs, including advertising, food, drinks and hand-outs were also listed in the hundreds of thousands even in the build up for the less auspicious local government election cycle. This phenomenon should be disturbing to citizens as campaigns represents a complete waste of T&T’s limited resources that adds no real value to society. 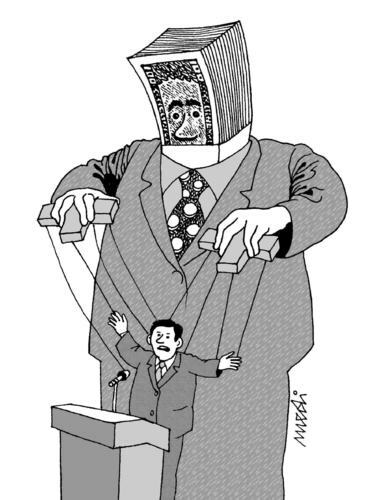 Furthermore substantial sums of campaign funds are moneys syphoned away from the tax payer by virtue of state contracts (past and present) to political party financiers. Even more fascinating is the demonstration of how much party financiers, faithful and the politically connected are willing to spend to weasel themselves or their confederates into the corridors of power. Surely such a substantial investment must yield a commensurate reward sadly, all at the expense of the tax payer. Well run credit unions offer an excellent alternative to the mediocre banking system. Not only are their interest rates better, they typically offer better, more personalised customer service. This is because credit unions are member-owned financial cooperatives, democratically controlled by its members, and operated for the purpose of serving its members. The police can't be everywhere at once therefore they can't stop all criminal activity. The fact remains that when you require an immediate police response the police will be minutes / hours away at best. Once this premise is accepted the primary way the police / the state can safeguard the public safety is by arresting and prosecuting perpetrators of reported crime, thereby limiting the criminal to a single violation rather than repeated violations of the public. This core responsibility of the police service and judiciary has been largely discarded in T&T and instead the propagated message is centred around murder and violent crime statistics. How Much Do YOU Pay in Taxes? How much do you pay per year for the privilege of "being governed"? Unfortunately its a lot more than you think. Most citizens except those who have clawed their way to the elite political class do not receive a commensurate value in government services for what they pay in taxes. The main reason for this is that the political system essentially bestows inherent power upon politicians to disburse tax revenues at their discretion with no real oversight; therefore resources go to the highest bidders or the politically connected. In addition, care or concern for value in spending tax payer dollars is thrown out the window as bureaucrats spend other people's money that they are not personally responsible for. 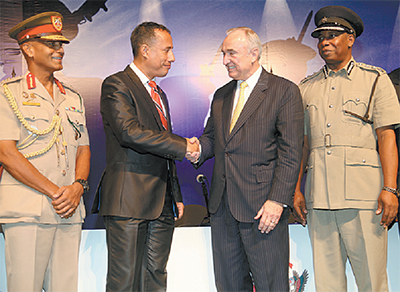 T&T Government To Use Drones to Fight Crime - Probably not. As a rule whenever the government engages in supposed security related surveillance of citizens its primary purpose is never to safeguard the public but rather to protect itself. It does this so as to maintain its monopoly power over its respective geographical boundaries. With these drones similar to other security surveillance tools (wire tapping, blimps, interceptions of physical or electronic correspondence etc.) will be used to gather intelligence on anyone they determine a threat to their monopoly power. These threats include regular citizens who are in opposition to their policies or who may have intentions of exposing embarrassing rampant abuses of political power. The surveillance will ultimately be aimed at those this or future regimes wishes to tame, destroy or extort. They say the things that come for free can be the most expensive in life. This truism couldn't be more true when applied to tertiary level education in Trinidad and Tobago. Students are enticed by the prospect of getting something supposedly extremely valuable for free, but unfortunately government involvement in the tertiary education market has tremendous unintended consequences to the ultimate detriment of students. 1. The Government Assistance for Tuition Expenses (GATE) programme fosters systemic underemployment among graduates, where employment opportunities are insufficient to the education level of graduates. The graduate's newly acquired skills paid for by the tax payer therefore go unutilised. This is a phenomenon that can be very frustrating for graduates especially after dedicating extensive time and energy to attaining academic credentials. Should a band of twenty nine (29) be able to unilaterally decide to confiscate dues and charges from 1.3 million supposed subjects by way of a property tax? The imposition of a property tax is the exercise of power without moral limits even whilst citizens are already taxed unnecessarily on their income, spending and by inflation due to the Central Bank's exponential expansion of the money supply. Even more infuriating is the fact that most tax resources are inefficiently squandered or syphoned to the politically connected. The recent upsurge in crime although unfortunate was very much predictable and is as a direct result of flawed public policy. The majority of murders are as a direct result of gang warfare related to the illegal drug trade, made illegal by the state. No illegal drugs, no widespread illegal drug activity, turf wars, bribery, corruption, money laundering, wastage of police resources etc etc. Uruguay should be congratulated for its bold move to decriminalize marijuana use. Certainly, the eventual successes they realize will form a case study for other countries to substantiate what they likely already know intuitively, but lack the political fortitude to implement. The fact remains that Trinidad & Tobago will never stop the production and consumption of marijuana, because despite the high price and legal consequences related to prosecution, persons still insist on buying and selling the herb. Ad nausium politicians spew from the lectern that the "Voice of the people is the voice of God" this phraseology is often repeated so as to convince the "common folk" that politicians are ordained by God to rule. More importantly it is intended to validate and reinforce the perceived moral or intellectual superiority of the politician or the state by leveraging flattery and false adulation towards voters. 2. Rates are likely to rise. Trinidad and Tobago's First Citizens Bank is set to launch its IPO and although everyone is lining up to purchase its shares I personally would be very weary as an investor to be unequally yoked to the government. Simply because; the state and the private sector's motives are diametrically opposed. The private investor on one hand has a genuine profit motive whereas politicians and bureaucrats are interested in expanding their control and their respective budgets at the expense of efficiency and profitability. This is not a marriage that will end well for at least one of the parties. The Community-Based Environmental Protection and Enhancement Programme (CEPEP) was established with the intention of providing employment opportunities to semi-skilled and un-skilled workers; however CEPEP actually limits the employment opportunities of workers and traps the most vulnerable of T&T's citizens in a perpetual poverty and dependency vortex. Although the media provides definite value to the population; a person searching for truth and unbiased analysis cannot rely on mainstream sources alone as their source of information. The main reason for this is that the media is beholden to its client's advertising dollars. For this reason media houses, especially ones who rely on advertising dollars for their survival must go along to get along. The media therefore must be facilitative of its advertising clients whoever they may be; otherwise the specific media house could lose lucrative advertising opportunities now and in the future. Clico should have died a natural death in 2009 and should not have been bailed out. The primary cause of failure of the conglomerate was mismanagement and fraud which led to its collapse, yet they were bailed out and are still being bailed out at tax payers' expense. The public was also coaxed into believing that the bailing out of Clico was in the country's interest to avoid a severe shock to the financial system that could cause contagion or ripple effects throughout the country. The Trinidad and Tobago tax payer should not be a player in the commercial aviation business and should immediately cut its losses and get out. 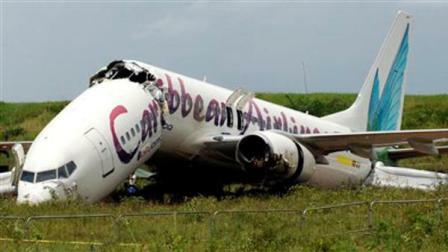 After all, contrary to what the politicians suggest we do not need a national airline. National airlines are often established on the premise that in the absence of a national service provider the wants and needs of locals would be left wanting. This is a false narrative for if Caribbean Airlines didn't today exist we all would not be stranded here on the islands of Trinidad & Tobago or Jamaica. Average Trinbagonians who are not well connected or have friends or acquaintances who work in the commercial banks will all attest to the difficulty in getting foreign currency on demand. If $US cash is required for any purpose including travel or trade you are also subjected to waiting list and limited quantities or only granted $US if you are lucky or you encounter a "generous" teller. This phenomena though unfortunate and inconvenient is to be expected when one observes current economic and foreign exchange market dynamics. ..... Good morning my dear teachers, parents, guests. It gives me great pleasure to share with you this morning my personal perspectives on realizing ones true self worth. I am fully convinced that we often times underestimate our true self worth since we do not consider or discount the direct or indirect impact our personal investments have on others. We are often times guilty of viewing the fruits of our own labour in terms of the direct impact on ourselves. Therefore, we often times rationalise that if I study my work I will do well, I will come first, I will get that PS3, I will become a Doctor, I will make a lot of money. However, we fail to consider the positive decisions we make have far reaching implications in terms of its impact on others. There's no free lunch and only one way to create wealth i.e. to produce more than you consume. A credit card assist you in doing exactly the opposite. 1. You spend more when you use credit cards. The psychological impact of dollar bills leaving your hand is more potent than swiping and signing a piece of paper to complete your purchase. This occurs because it easily facilitates the deferring of pain to a later date rather than enduring the pain / loss of resources right immediately. In fact a study of credit card use at McDonald’s for example found that people spent 47% more when using credit instead of cash. This is money you could have saved! We have for years read and heard complaints of the poor service delivery and malpractice at public and private hospitals. Yet despite massive infusions of cash they continue to under-perform. A basic economic analysis can allow us to easily decipher why. It is a common belief that when government provides something, it is free or cheap. But in reality its actually the most expensive and inefficient way to provide service. This is so because politicians cannot create wealth or resources – they can only personally consume it or redistribute it. Remember money for all government spending comes from the private sector / business by way of taxes on profits and the salaries of the general population -therefore the state can only spend your limited tax dollars on one area at the expense of another. When the price of public health care is mandated to $0 as with any other service demand dramatically increases and this causes shortages, since doctors, nurses, supplies, beds etc are all in limited supply. The Economic Cost of an "Outside Woman"
Everyone acknowledges that to philander is morally reprehensible on the most basic level but few often rationally consider the economic cost associated with the activity even more so when one is in a committed relationship. This article considers the associated costs of the practice especially when considering that no man has unlimited resources and must use these limited resources to maximise his overall well-being. 1. The costs of gifts and tokens of appreciation that must be provided to both/all women to maintain the façade that a special relationship still exists. He must ensure that he remembers to buy gifts for Mary and Jane for their anniversaries, birthdays, valentines day, Christmas day, special carnival fetes etc. Engaging in adulterous behaviour essentially doubles expenditures on gifts, movies, dinners and other entertainment related expenses. This principle is predicated on the fact that all voluntary relationships occur because either party perceives to derive some benefit from engaging in the relationship -whether pecuniary or otherwise. Corruption continues to persist and often times persons look on with feelings of jealousy or envy. However many times they or the corrupt persons don't consider the severe and adverse effects of engaging in such behaviour in the long run. Posed another way; what happens when people of low integrity are bestowed with significant sudden wealth by virtue of a cushy government contract or nefarious deals? It grossly exaggerates and magnifies their character traits, behaviour and the resulting consequences. Here are some of the seeds being sown when one engages in skulduggery. The person is suddenly robbed of the credible moral authority needed to steward and lead others especially his children. He can therefore no longer advise, admonish or discipline his children (or employees) who may engage in immoral behaviour as he has no moral grounds to do so. His children therefore become compromised especially as they observe his corrupt behaviour. He may gain financially but slides closer to losing what should be his most precious treasures --his children / family who are now at a higher risk of becoming wayward. 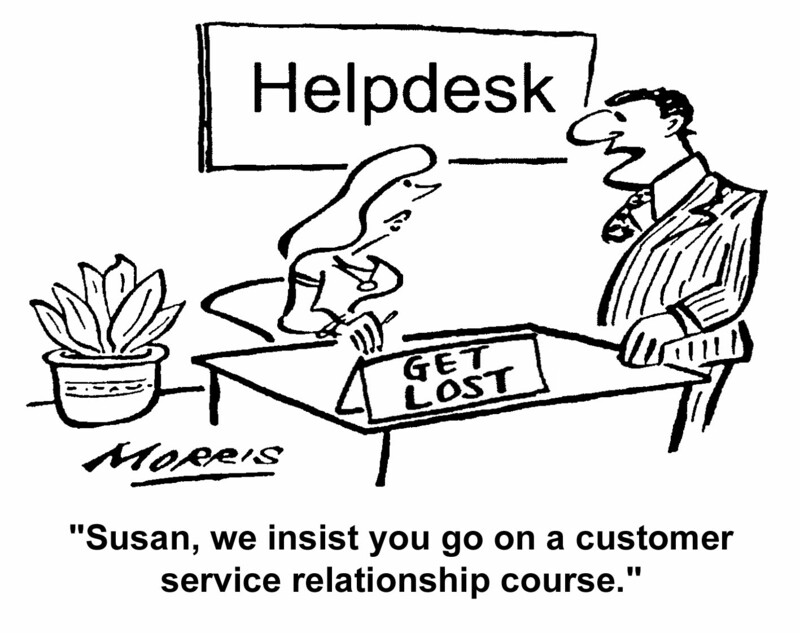 A common complaint by Trinbagonians is the persistent lack of customer service. Yet it is spoken of like a plague that has afflicted T&T from another realm when upon closer observation we can easily pin point from where the predicament emanates. In the recently released The Global Information Technology Report 2013 T&T ranked 88th out of 144 countries in Intensity of Local Competition. Moreover T&T was ranked 126th in the number of days to start a business at 41 days. This lack of competition limits consumer options for the provisions of good and services and constrains the consumer's ability to discipline errant service providers. "Cabinet decided to make it possible for citizens earning less than $8,000 a month to buy their first home, with zero down payment and at a two per cent interest rate for homes up to $450,000." Unfortunately this is another programme that will backfire. The government has effectively, artificially and arbitrarily increased the floor price of property in Trinidad and Tobago to $450,000. Moreover, this policy is going to further inflate property prices by injecting more cheap money into the property market while the supply of homes remain stagnant. Prices will therefore increase correspondingly negating the original intent of the policy. 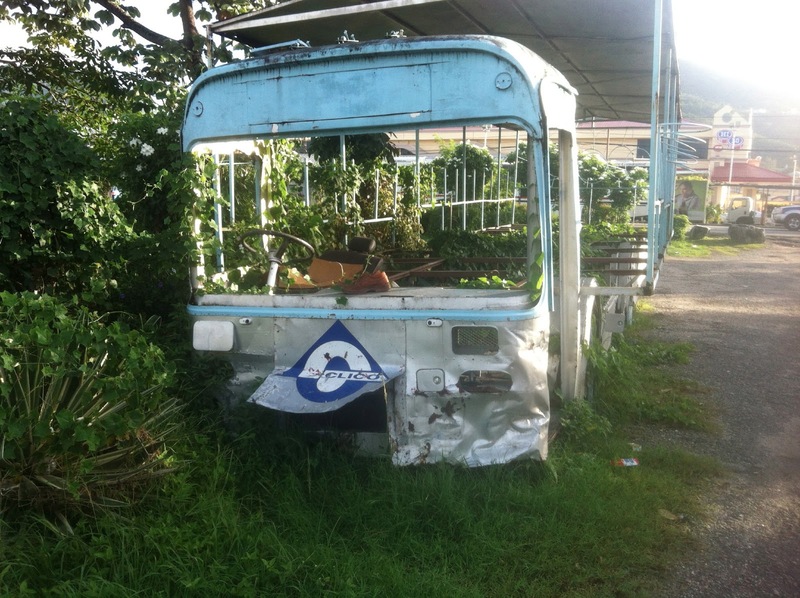 Everyone acknowledges that Trinidad has a severe motor vehicle traffic problem. In this article we explore the primary causes and also indicate the simple solutions that can be applied to solving this major drag on T&T's productivity. Every month T&T's inflation numbers are reported, however the public is never afforded the full picture with regard to its causes and its implications. Descriptions of inflation almost always surface as a nebulous scourge, an inconvenience that is inevitable and must be tolerated. Yet inflation is a consequence of economic intervention by government which hinders the markets from attaining general price stability. Simply consider; that if productivity or output in T&T were to remain constant nominal prices would only increase if the money supply in T&T increased. 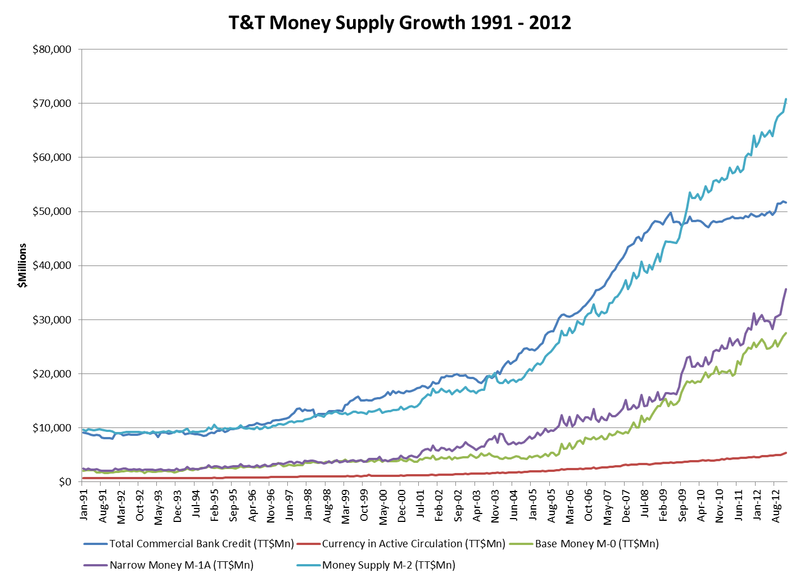 The steady expansion of the money supply unfortunately has been occurring in T&T since the mid 90s triggering constant inflation. Increasing the supply of money simply decreases the value of existing dollars in circulation. By doubling the quantity of money you double the price level. by tripling the money supply and you triple price levels. Prosperity is only improved when productivity increases not when money supply increases. The sky over the T&T energy sector may not be falling after all due to the expected stiff competition from the US shale gas surge. 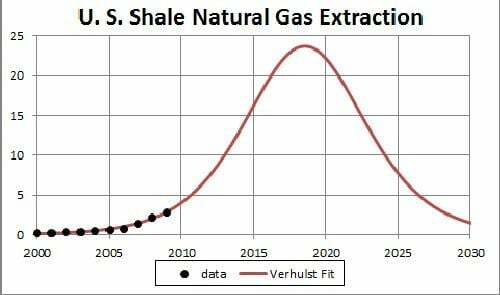 According to a recent article by F. William Engdahl "the US shale boom is revealing itself to have been a gigantic hyped confidence bubble that is already beginning to deflate." The very nature of government ensures corruption will remain a pervasive scourge on Trinidad and Tobago. The political system essentially bestows inherent power upon politicians to disburse tax revenues at the discretion of the politician. They have the power to award and cancel contracts, give hand outs, approvals and special favours. 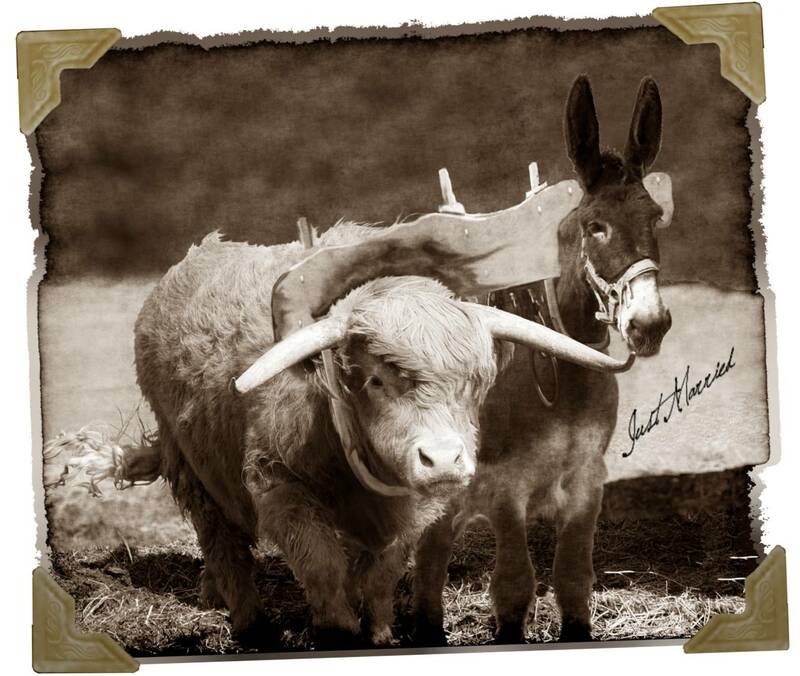 Government essentially a high priced auction. Given this structure persons and businesses with an interest in benefiting from potential political favours from politicians essentially position themselves in the Political Auction House. 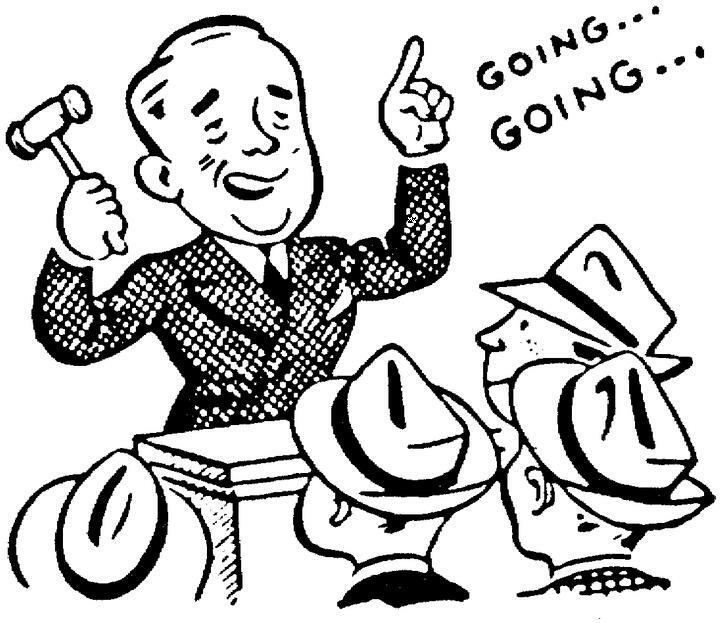 The political favours therefore end up going to the highest bidders i.e. the persons with the deepest pockets. Consequently the wealthy or the business class are granted a significant advantage over the rest of society as they are able by virtue of their purchasing power to extract the greatest benefit from the politician. What makes this worse is that the auction house attendees bid for tax revenues offered by politicians that were extracted from the wider less affluent population. 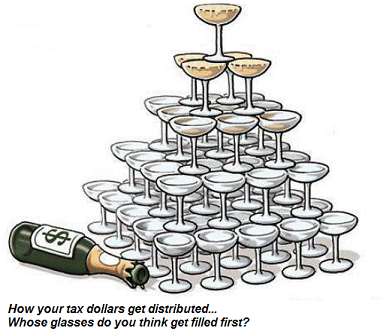 This phenomenon perpetuates a societal system by which the rich can get richer and the poor gets poorer. This occurs because the elite class can outbid average citizens in influencing and dictating the way tax dollars are distributed throughout society. What should be done therefore to mitigate this unpleasant reality? 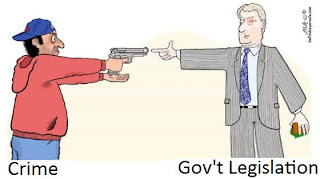 Shrink the power, scope and size of the state, thereby limiting the politician's ability to dole out favours and tax payer dollars at their discretion. A gradual move to a less centrally planned more free-market environment with smaller government, would lead to less corruption in the distribution tax dollars. If the citizens of T&T think long and hard they'll realize in spite of what the state has led them to believe they pay more into the government coffers than the value they get out in terms of services & support rendered by the government. There has been a prevailing assumption that unions in Trinidad & Tobago always operate in the interest of workers and the society. This notion is hardly ever challenged in the mainstream as it is deemed too unpopular and would spark the ire of the unionized labour force. There basically remains only one main thing that determines increased wages in the long run i.e. labour productivity. Because if an individual is productive and there is demand for his/her services their wages / salaries will be bid for by employers up to what they are worth in the market place. If unions seek however to establish wages by the use of intimidation, force and coercion higher than their real market worth they create unemployment and inflation. The most common way coercion is levied is by means of a strike that is not a peaceful one. A peaceful strike is legitimate in that it allows workers to withhold their labour to demonstrate the the employer their perceived value especially when the employer is unable to replace its workers with equally suitable employees at the wage rate striking workers refuse. However unions threatening intimidation to prevent any dissenting union members from returning to work or new employees from accepting abandoned positions is in effect not protesting against the employer but rather a protest against job seekers. In effect preventing new workers from exercising their best available option for employment.The unions are therefore asserting positions of privilege over other job seekers and are using force to maintain this privileged position against the wider population. Doh care what odders say of how dey run dey mouth. Is de way we talk dat ranks us among de best. Is to hear us speak and carry on in our own special way. To create a whole language dat has stood de test of time. Is truly an art of which every Trini can boast. Just to make it easier for us to communicate. Are words dat yuh cah find in any English Dictionary. Mou Mou, bazodie, jagabat and tootoolbay. The general population is continuously subjected to poor service at commercial banks. In spite of the above local banks find themselves in excellent financial shape and perpetually report steady profitability. Normally industries that provide such poor service eventually experience a natural decline. 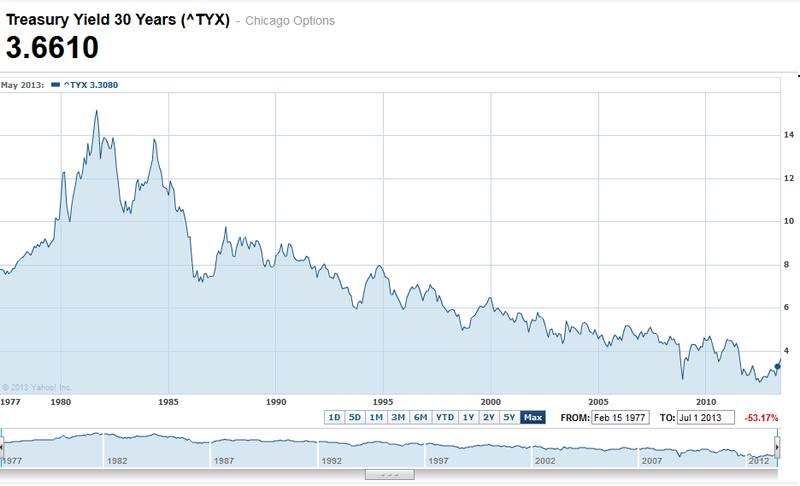 What exempts the T&T banking sector from this fate? Time and time again electorates are disappointed whenever changes in anyone or group of politicians don't lead to improvements in society. 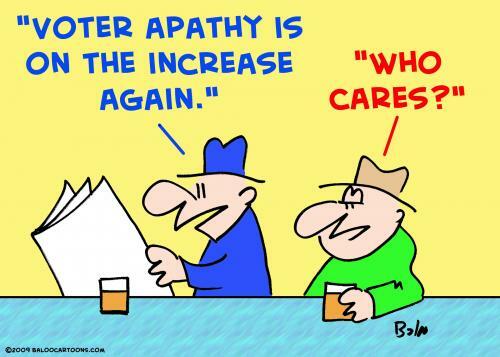 In fact things often get progressively worse, moreover a perpetual cycle exists where as things worsen the electorate demands sweeping changes only to see things decline further in spite of optimistic expectations. A persistent cry by many young and middle aged professionals is that real estate prices are just way to high especially on a small to medium income budget. Why have prices continued to rise so severely? In October 2012, Junior Achievement of Trinidad andTobago (JATT) commissioned Digital Warehouse, an external, independent, third party statistical analysis firm to conduct a Youth and Entrepreneurship Survey. A nationwide survey was administered to one thousand and eighteen (1,018) secondary school students in Trinidad to assess student attitudes related to entrepreneurship. 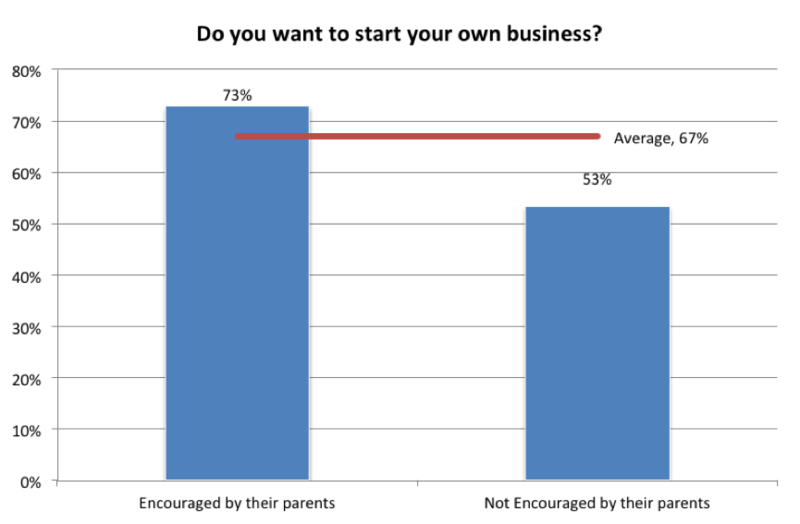 The study revealed that the majority of students believed they could become successful entrepreneurs (93%) though only 67% wanted to start their own business. Nonetheless the vast majority of students (94%) believed that they could be successful through a good business idea, hard work and determination and that engaging in entrepreneurship is a worthwhile activity beneficial to society (92%). Why are there more gold buyers than ever before in Trinidad & Tobago? Within the last few years there has been an increased prevalence of advertisement attempting to induce consumers to part ways with their gold jewellery. Though the practice of cash for gold is not a new one and is a legitimate business; this article seeks to inform consumers before they make such a decision. 1. Immediately remove the gun legislation and bureaucracy in sourcing firearms for law abiding citizens. The law in its current form ensures only non-law abiding citizens and on duty police will have firearms. This therefore emboldens criminals because they know that law-abiding citizens are unarmed and powerless to defend themselves. Essentially making the majority of Trinbagonians potential victims. The Trinidad and Tobago Police Service - An inefficient government agency should not have monopoly over your individual personal safety and security. Government has monopoly over water, the issue of drivers's permits, passports, ID cards, customs etc etc. How have these services worked out? If citizens want to figure out what works look at what the persons with the most power, money and autonomy do to protect and safeguard themselves. They enlist the services of armed guards to protect them or they pay the requisite bribe to get a firearm license. 2. Legalise the use of illegal drugs. This will essentially stop the waste of police resources on the policing of illegal drugs. Drugs like marijuana therefore should be immediately legalised. Currently the Trinidad and Tobago Prison Service can't even keep drugs out of prisons, how will the TTPS keep drugs out of an entire island with open boarders. Our current policy was literally doomed to fail from the start. This approach would also allow the Trinidad and Tobago Police Service to assign more officers to patrol the streets and increase detection and conviction rates of more serious crimes. This approach would also reduce drug prices for which huge premiums are paid on the black market, thereby making the industry less attractive to drug pushers. This change in policy does not facilitate lawlessness but rather allows individuals to incur the consequences of their actions i.e. drug use leads to destitution. After all a million laws could be written but at the end of the day morality cannot be legislated. 3. Improve Accountability By Publicly Publishing Prosecution Statistic of Prosecutors, Judges and Police officers. Afford the public greater transparency over the judicial process. What motivation do police officials have to track down criminals when the majority of suspects go free? What motivation do officers have when they receive compensation whether they perform or not? Trinidad and Tobago does not just have a crime problem since police officers can't be everywhere a crime occurs it really has a crime prosecution and conviction problem. Unless you're very wealthy with money to burn you should not be purchasing a new car especially when taking out a loan. The costs are just way too high for the average Trinbagonian to absorb. 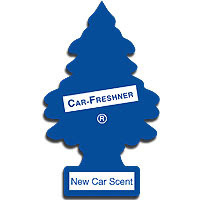 The new car smell and the big "sawatie" feeling just isn’t worth it. In other words a car that cost $200,000 winds up costing you: $260,240 after 5 years when you finance it. Higher Insurance Cost Insurance cost is much higher on new cars and especially so when cars are financed. Once the car purchase is financed the bank makes it mandatory for the purchaser to take out a full comprehensive insurance policy to safeguard the financier's collateral. This means that your yearly insurance cost is much higher than if a cheaper second hand car was bought. Had you bought a cheaper second hand car not only would your insurance cost be lower but you could opt for third part, fire and theft insurance which is substantially cheaper than full comprehensive coverage. Higher Maintenance by Local Car Dealers New cars purchased in Trinidad and Tobago are required to have their vehicles serviced by the new car dealer in the early life of the car. These services are required to maintain the warranty on the car purchased. Even after the mandatory services to maintain the car's warranty have passed many owners often feel inclined to continue to service their cars at the local car dealers at very exorbitant costs since they worry that having the car serviced elsewhere could have negative consequences. Its even worse if the car gets into an accident and needs to be repaired. Reports indicate that as cars drive out the showroom they immediately decline 25 - 30% in value since the car can no longer be considered a "new car" or unused. This is a terrible personal business decision and should be avoided by the average car buyer who cannot afford such a hit against their personal finances. Moreover new cars lose 70% of their value in the first four years. When you buy used, the original owner has already taken that major depreciation hit. You, on the other hand, can get a great four-year-old car for a good price significantly lower than the cost of a brand new car. Accidental nicks and scratches in the early life of the car also have the effect of eroding the car's value much faster. Solution: Save Up and Buy A Used Car Of course buying your car without taking out a loan will be a challenge, but its certainly not impossible. With a strong work ethic and diligence in saving and minimizing spending can help get you there. Spend a lot of time looking and researching potential cars. Look through the newspaper classifieds, go online and search for used cars, and you’ll find plenty of good cars for $60,000 or less—Toyota Corollas, Honda Accords, Civics, Mitsubishi Lancers, Nissan Sunny's. Patience is a virtue. Your Not Doomed to drive a relatively older car forever. Say that you are thinking about financing a new car with payments of $2500 a month. Your current car is worth around $40,000. If you take that $2500 and pay yourself, instead of the bank, you’ll have $25,000 in just 10 short months. Sell your old car and you'll have a total of $65,000 to use towards the purchase of a better car, while continuing to save $2500 a month in another 10 months you'll have another $25,000 to put towards an upgraded car purchase. Repeat this process again, and you could have a $100,000 car just 30 months after you started saving. 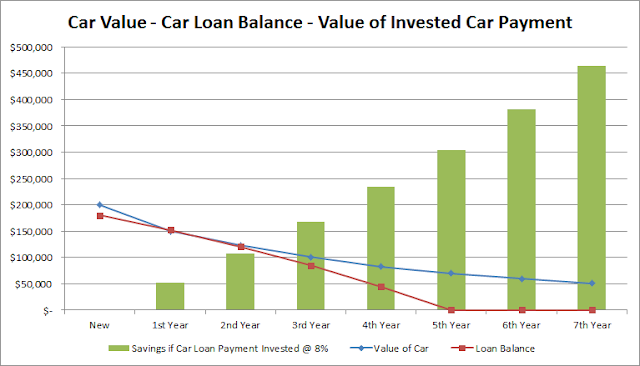 This makes much better financial sense than buying a new car and incurring significant loss in value. But I Need A Reliable Car... Older cars have high maintenance cost and headache When you buy a new car you are paying a high premium to have a warranty / or a feeling of reliability, with all that money you pay the bank and the car dealerships you could comprehensively maintain a gently used car, more than you would ever need. Instead use that money that would be wasted buying a new car and budget it toward car maintenance and toward your next cash purchase of a car. With a thorough car search and proper counsel before making a used car purchase you'll have an excellent chance of finding an affordable roadworthy vehicle. Though this may not be what you want to hear; deferring instant gratification has tremendous benefits. Don't be impulsive with your financial decisions.